No one can learn to write poetry. Like pimples, problems, fragrance, and talent, poetry is natural. As natural as music, it comes from within. In literature, there is no room for any good or bad. Only it is the way of seeing that matters. 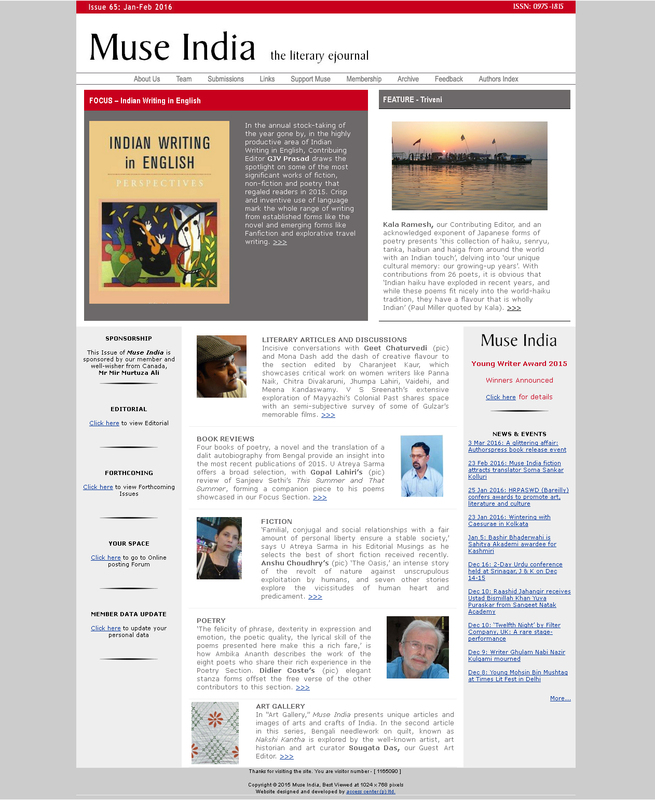 Similar is the case of poetry, where readers can only polarise the poet's philosophy. 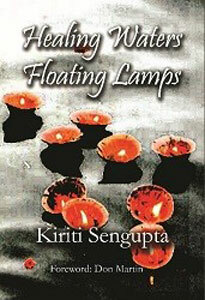 Kiriti Sengupta's bestselling title Healing Waters: Floating Lamps is a slim collection of verses. The poems are modelled on the device of interior monologue, knowingly or not. Monologue differs from soliloquy, which is akin to speaking out loud to just oneself. In the case of novels, "Stream of Consciousness" is (a term coined by William James in Principles of Psychology) the psychic phenomenon itself, whether interior monologue is the verbal expression of a psychic phenomenon or not. Writers, like James Joyce and Virginia Woolf, adopted the mechanism of interior monologue to represent the unspoken activity of the mind. This device distinguishes it both from the soliloquy and from dramatic monologue, where conventional syntax is respected. Here the poet stays fixed in space, while his consciousness moves freely in time. And most importantly, everything is present here in the poet's mind. He is not soliloquising, rather he creates an alter-ego of himself to speak to. A very common and routine view turns poetic through his voice, his expressions, and through his experiences. Prayers reach the meditating Lord. Water seems to have a soothing effect here–a panacea. Actually, not water, rather time here, pacifies. No tide is there, so the time waits for the lamps. To blow, to flow. To slow the flame of doubt even "reach" is about patience. The Morning wins through the constant patience of the Evening Varanasi. The optimistic stand of the poet is obvious, unlike Shakespeare. To the former, time heals; it harms, to the latter when he says: "Time will come, and take my love away." Some holy grains of dust. So as to stay attached with his feet forever. The themes of hope, light and promise in one hand hark back my memory to recollect Robert Browning, a poet with stout optimism. Browning had a very happy life, even had an optimistic viewpoint about his life. We also notice him writing poems like Porphyria's Lover, The Last Ride Together, expressing optimism. But they have stemmed from a condition of failure. The hope underlying in Sengupta's poems also relates to Waiting for Godot, a play where two vagabonds do not give up on waiting, and say, "We're waiting for Godot." Sengupta speaks out his mind in Healing Waters: Floating Lamps. We try to read thereafter. But what he tried to hint at here? About the burden of colonial baggage? Or is it merely like J Alfred Prufrock of Eliot who does not expect his thoughts to be heard. While putting the final touch, the flow of the language is one part of making a monologue effective. As apt and just, Kiriti Sengupta's poems in this book are very much in keeping pace with the title and theme. Even his poetic self, through the help of interior monologue conforms to it wonderfully. However, if there is no emotional stimulus the monologue ends up being flat. Emotions create the poetic self, and so make the poem. The poet fully explores his emotional state to create something through his poems that genuinely engage his reader. Therefore, Healing Waters: Floating Lamps by Sengupta is a valid example of wholesomeness added with cogency.